new opens a music school. 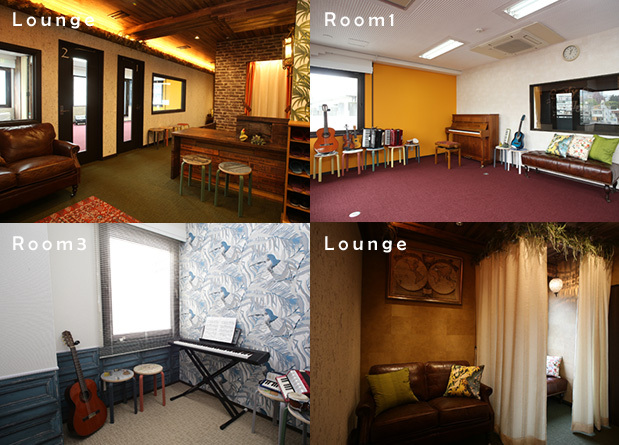 Do you know what kind of music lesson in Tokyo? It is like with a good manner calmly in the teacher’s house or a classroom. Do you try to practice hard to a purpose? Fundamentally, music is enjoyable sounds. English is made of “sounds”, too. When children develop their musical ear, they can develop their ear for English. in a big music room with large windows. Students can learn both English and music in our class. In our class, they enjoy making voices together, sounds together. It encourages social development and communication skills. all professional musicians who speak English. Listening to good pronunciation in English and real expressive music sounds from professional musicians helps to grow a good ear. We call it “Choiku” in Smily Village. Now that it is so easy to find music through TV and Internet, our life is awash with electric sound. That is why we are particular about “real sound”. Our class with “real sound” and “real English” will help developing children’s linguistic competence and emotional development. The growth of the person is related on a genes. However good environment is more important. 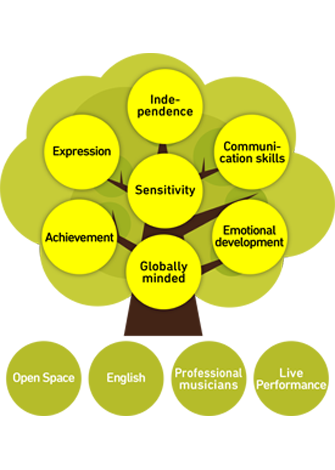 At Smily Village children can enjoy learning music in a free, playful environment as “Smily Village Tree”. We have group lessons in vanity kids of instruments and genre. Children can feel joy through learning and sessions with friends. and mini recital during the lesson. through sessions with other student are important. There are monthly concerts by professional musicians. of Tokyo Tower in our room. at any time and relax. We also have space for nursing, changing diapers for children. Panoramic view of Tokyo Tower with cute orange wall. There is German piano of “WILH.STEINBERG”. There is a panoramic view of Tokyo Tower. drums, mandolins and so on. A room for private lesson. You can use our lounge space at anytime. We also have a space for nursing and changing diapers for small children.